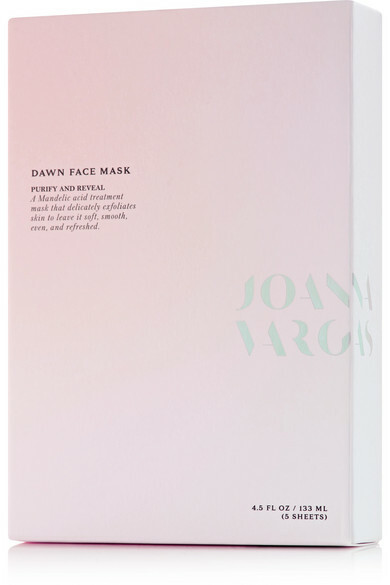 Joanna Vargas' 'Dawn' face mask delicately exfoliates your skin, leaving it soft, bright and smooth for the day ahead of you. Formulated with Mandelic Acid and Bamboo, this sheet treatment promotes cell turnover, which in turn improves texture and reduces the appearance of fine lines. Glycerin replenishes moisture, while Cherry Blossom soothes redness and Vitamin C encourages collagen production.